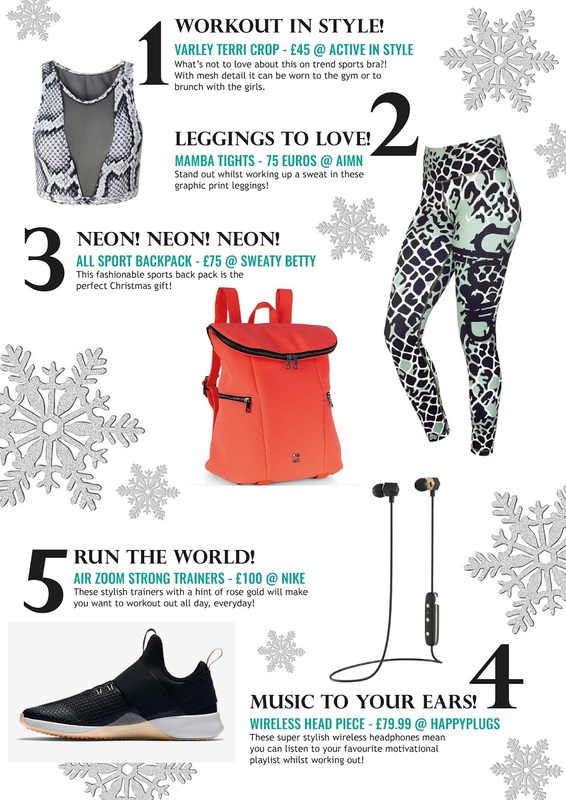 A FITNESS FANATICS CHRISTMAS WISH LIST! The Coca Cola advert is back and it's now acceptable to eat chocolate for breakfast which means one thing.... the most wonderful time of the year is just around the corner! Yes Christmas eeekkk! However with it comes the hard part of deciding what presents to get the loved ones in your life. Well fear not! If you know someone who's a workout junkie or fitness fanatic then my Christmas wish list will give you some inspiration! With so many great fitness products to choose from I've put together my top picks!